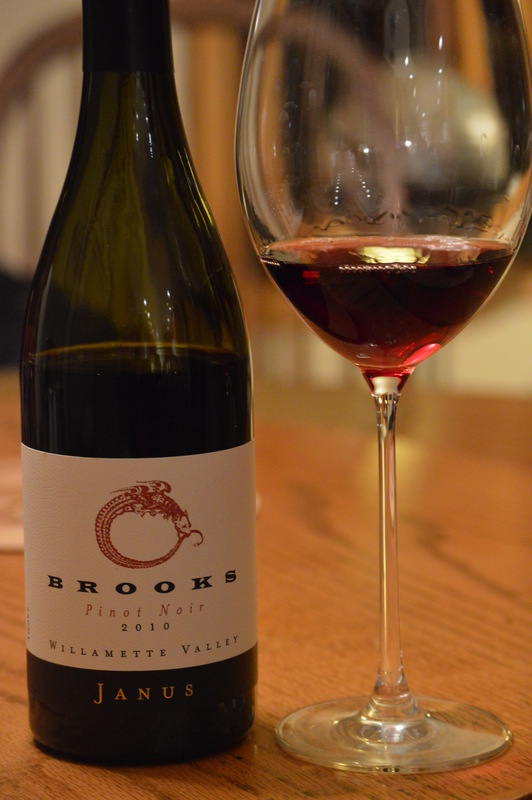 Three years ago when one of my friends from wine class opened up a Brooks Winery Pinot Noir, I thought, “Man, I have to sign up for that wine club.” I had never seen nor heard of it before, but this is why I was in wine class–to learn beyond the boundaries of my own experience and limitations. The wine has a touching storied past, but it also has a visionary future, and one can sense this is the layered and complex tastes and textures of the wine . 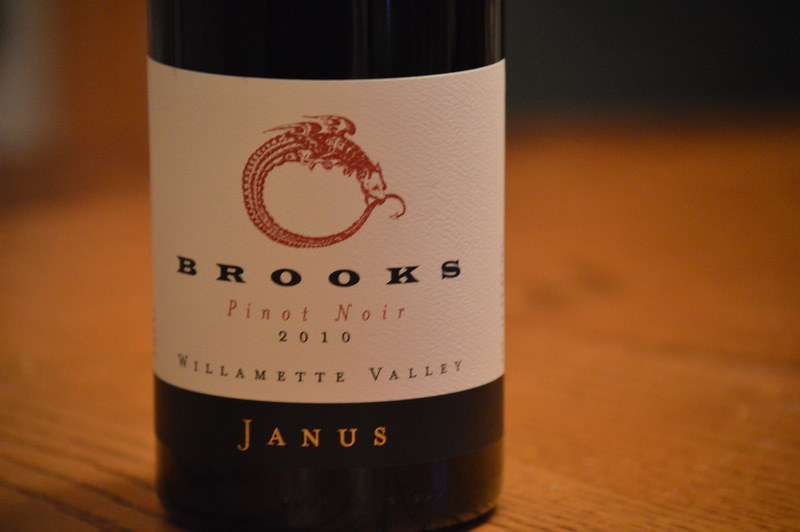 I found the 2010 Janus Pinot Noir (Willamette Valley, 12.2%, $30-39) at Sunfish Cellars in Lilydale/St. Paul, Mn. (If you have never been, it is by FAR one of the best selections of wine in Minnesota). Chris Blanchard, M.S. will say of this wine in his tasting notes that this wine is “earthy and brooding” and I quite agree. However, apart from the deep animal and mushroom notes he describes, I find a lightness in the taste akin to its delicate color–finding black cherries and strawberries, as well as a minerally graphite flavor that add buoyancy to the wine, behind the fruit. Light in oak, almost to a vanilla tinge, Janus-the mythological god of beginnings and endings–can handle the juxtaposition of flavors in my opinion. It’s a great story and great wine. I can’t wait to discover more in the Brooks’ line as I keep adding to my own plot.